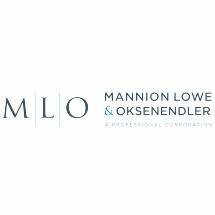 At Mannion Lowe & Oksenendler, A Professional Corporation, we are career plaintiff’s attorneys. We work hard to represent individuals against large insurance companies to see that those companies treat their customers fairly. We have never encountered a corporate entity that was too big or too powerful to be held accountable to their customers and to the law. Whether we are advocating for an individual or a large group of policyholders, we fight just as aggressively to see that our clients get what they are entitled to. Mannion Lowe & Oksenendler, A Professional Corporation participated in representing a group of policyholders in a dispute with their insurance company following the 1991 Oakland Firestorm, successfully securing approximately 10 million dollars in compensation for their clients. We are a two-attorney firm with a talented and experienced staff. In addition to our dedication to our clients’ cases, we are committed to providing an exceptional level of client service. We will work tirelessly to make sure you understand and are aware of everything that is happening with your claim. We want to provide the top-notch advocacy you need with the superior service and courtesy you deserve. Check out our Practice Areas to learn more about how we help consumers. If you have questions about how we can help you, contact us anytime. We are happy to answer your questions and schedule an appointment to meet with you.